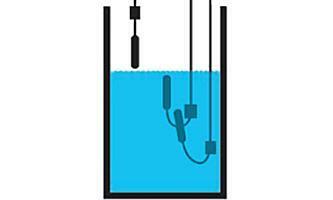 The TUBA is a mechanical float level switch of small diameter. 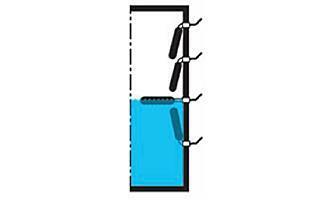 It's tubular shape has been designed to fit tanks and cisterns having restricted access or narrow openings. The TUBA is a mechanical float level switch of small diameter. It's tubular shape has been designed to fit tanks and cisterns having restricted access or narrow openings. 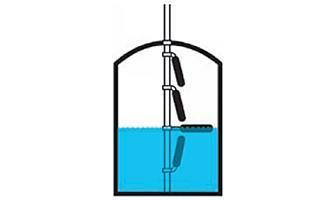 As the liquid level reaches the float, the mechanical switch inside will tilt, thus closing or opening a circuit connected to an electrical panel. TUBA level detectors can be installed in three ways: (See diagram opposite).